FRSO condemns assassination attempt on Venezuelan President Nicolás Maduro | Fight Back! On the afternoon of August 4, as Maduro was addressing a military parade, several small drones flew towards him and exploded. While Maduro was unharmed, several soldiers were wounded. 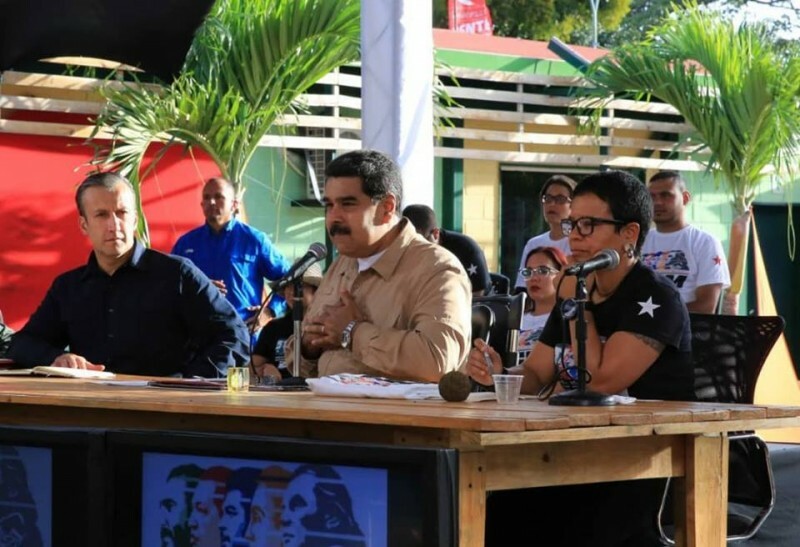 Addressing the nation that evening, Maduro did not hesitate to say who was behind the attack - the Venezuelan bourgeoisie, in collaboration with the Colombian oligarchy, Colombian President Juan Manuel Santos, and elements based in Miami. U.S. imperialism has tried time and time again to destroy the Bolivarian Revolution and undo the immense gains won for the Venezuelan masses. Every effort, from attempted coups to fascist gang violence, has failed. Now Venezuela’s imperial lapdogs, the comprador bourgeoisie, have lost all credibility. They know they cannot win through elections, so now they turn to their murderous allies in Bogotá, Colombia to kill who they cannot defeat. Our organization stands in solidarity with President Maduro and the Venezuelan masses. Their commitment to building a nation independent of imperialism is simply heroic, and an inspiration to all revolutionaries everywhere. We recognize that the Venezuelan masses share a common enemy with the people of the United States - the monopoly capitalist class that rules this country - and we commit to doing our part to see this criminal elite consigned the dustbin of history. Hasta la victoria siempre - ¡Venceremos!